An amazing way to start your day energized and ready to go! Unlike coffee which is actually creating an energy deficit, this smoothie offers sustained energy backed with crazy antioxidants, beneficial omega 3’s, and hormone balancing deliciousness. 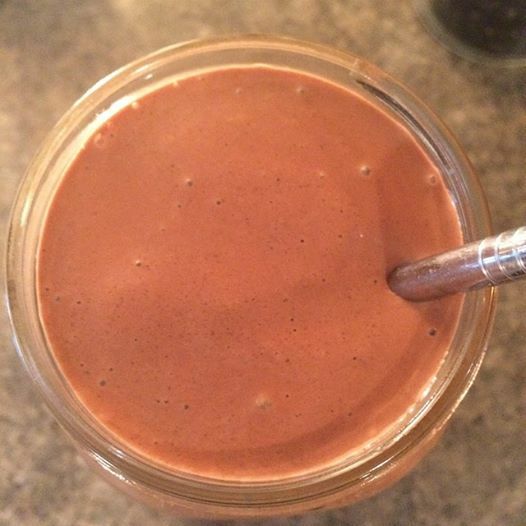 This entry was posted in breakfast foods, cacao, desserts, energy, Gluten Free, milks, omega 3's, protein, smoothies and tagged cacao, no coffee, off coffee, protein smoothie, raw, vegan crosf, vegan crossfitter, vegan protein, vegan smoothies. Bookmark the permalink.